The Shirelles were an American girl group in the early 1960s, and the first to have a number one single on the Billboard Hot 100. The members of the quartet were Shirley Owens (the main lead singer; later known as Shirley Alston, then Shirley Alston Reeves), Doris Coley (later known as Doris Coley Kenner, then Doris Kenner Jackson; she sang lead on "Dedicated to the One I Love", "Welcome Home Baby", "Blue Holiday" and a number of B-sides and album cuts), Beverly Lee, and Addie 'Micki' Harris. The quartet formed in New Jersey in 1958, and went on to release a string of hits including "Baby It's You" (written by Burt Bacharach/Mack David/Barney Williams), "Mama Said", "Foolish Little Girl", and the #1 Pop hits "Will You Love Me Tomorrow" (Gerry Goffin/Carole King) and "Soldier Boy" (Florence Greenburg/Luther Dixon). Their "Sha La La" became an international hit when covered by the British group Manfred Mann, giving them a Top 5 hit in 1965, and the song "Boys" was covered by The Beatles. The Beatles also covered "Baby It's You" on their album Please, Please Me in 1963. A year later, this same Burt Bacharach/Mack David song was also a Top 30 hit in the UK for Sheffield-born singer Dave Berry. 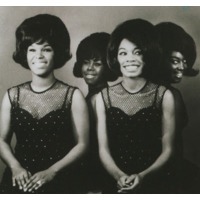 The Shirelles were the first major female vocal group of the rock and roll era, preceding Motown as a crossover phenomenon with white audiences. Unlike The Chantels, who had had their first hit in 1957, they were successful in Britain, first and foremost with "Will You Love Me Tomorrow" (1960). In addition, they provided some of the earliest hits for important Brill Building songwriters like Gerry Goffin & Carole King, Burt Bacharach & Hal David, and Van McCoy.